Medium-large TurtleButt Soaker. 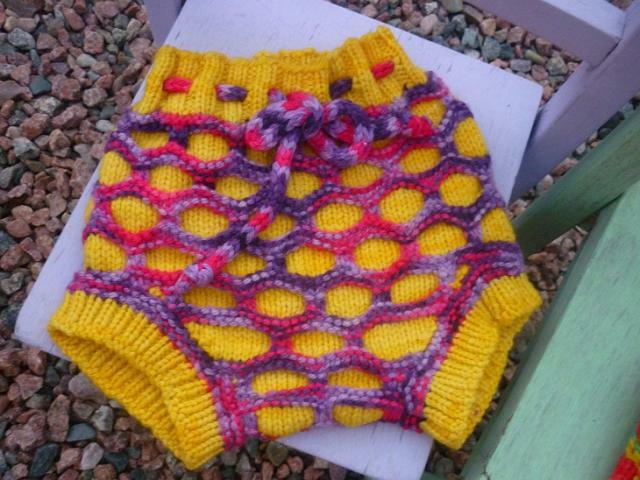 Knit using TurtleButt pattern (by Melanie Hoffman of Adorabubble Knits) with hand-dyed merino wool. Yellow with purple and pink turtle pattern. Matching I-cord drawstring and soft ribbed cuffs. Please PM me to purchase, or you can reply here but I'm more likely to see a PM first! Yay! Glad to see you back. We loved our turtlebutt soaker.